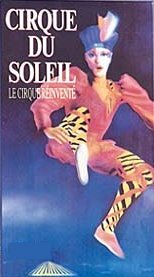 At A Glance Created in 1984 by visionary and one-time street performer Guy Laliberté, Cirque du Soleil has gained unparalleled acclaim with astonishing, high-energy shows performed around the world. Cirque du Soleil opened on 23rd Dec 1998, and as expected is quite a busy attraction, though not so busy that it's difficult to get late tickets. Created in 1984 by visionary and one-time street performer Guy Laliberté, Cirque du Soleil has gained unparalleled acclaim with astonishing, high-energy shows performed around the world. A stunning blend of circus art and street entertainment, Cirque du Soleil captivates with a dazzling array of outrageous costumes, magical lighting, and fantastically original acts and music. The newest extravaganza from Cirque du Soleil, La Nouba, conceived especially for Downtown Disney West Side, is presented in a state-of-the-art venue - an inspiring cylindrical structure with metal towers soaring to a height of 160 feet. Other Cirque shows around the world include Las Vegas (Mystere), and Atlanta. This 70,000-square-foot theater conveys the look and atmosphere of a "Big Top," and has seating for 1,671 guests. The show which lasts for 90 minutes features more than seventy performers in a not-to-be-missed mix of big-top circus acts with original music, fantastic costumes, and innovative choreography. There aren't any animals used in the show, which tends to focus on balancing and skill acts instead, with Trapeze, Trampolining, High Wire acts, alongside skill/grace type acts. Around 15 minutes before the start of the main show a number of clowns interact with the audience in a sort of pre-show. The show will be staged twice daily, five days a week. Disney recommend arriving at least 30 minutes before the start of each performance, but it's probably worth extending that if you've got a vehicle to park. Although all seats have a good view, it's worth avoiding the first 2 or 3 seated rows because a lot of the action occurs overhead, which unless you're good at looking up for long periods is going to be a sure fire route to a painful neck after a while. To contact the box office for information, or to book tickets, call (407) 939-7600. Note: Flash photography is not permitted during the performance.